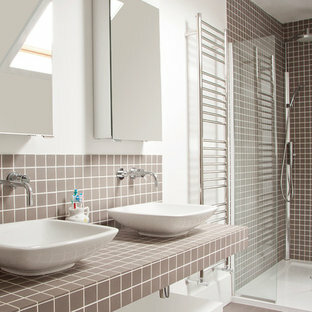 If your bathroom is a small space in your home where you don’t spend much time, it’s time to think about alternatives. Whether you’re going for a full renovation or just a refresh; making your contemporary bathroom design brighter, cleaner and more attractive will make you feel happier to use it every day. 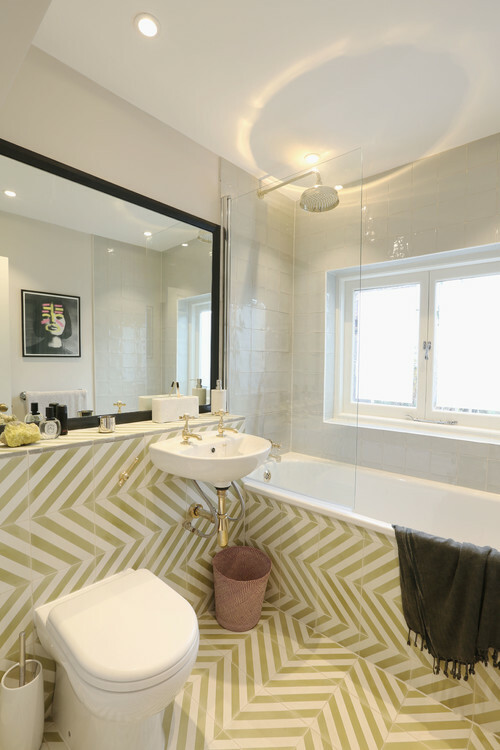 Browse the pictures to find inspiring bathroom ideas on Houzz, including stylish vanities, fancy toilets, taps, shower tiling, as well as storage ideas for small bathrooms. How do I find contemporary bathroom ideas for my remodel? If you’re starting your bathroom remodel from scratch, or ripping out and starting again, then once you’ve sorted the plan and the plumbing you’ll need to think about what kind of ideas you’d like. 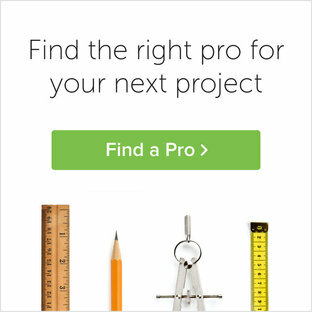 The easiest option is to get inspiration from bathroom professionals. However, if you’ve dreamt of a roll-top bath or a walk-in shower with heating at, then you might want to take longer looking for each item individually. Choosing all white elements will obviously tie everything together, but also think about the style you’re going for – ultra modern taps will clash with traditional Victorian-style wash basins. And it’s probably good to consider your flooring or surfaces, and walls to make sure everything will complement. 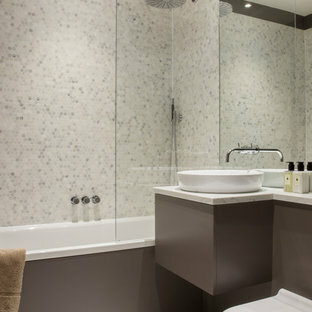 Take a look through the different styles of bathroom designs on Houzz to get some inspiration. How do I select the right contemporary bathroom decor & furniture? 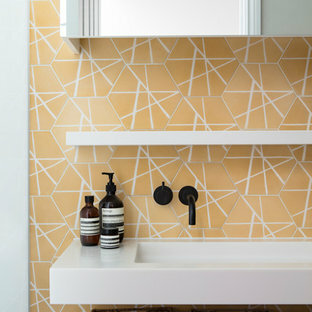 Selecting contemporary bathroom decor such as cabinets, mirrors, shelves or other furniture for bathrooms can be tricky. You want to consider the storage they offer while also making sure they make an attractive feature as you enter your bathroom. Don’t forget you need them to be durable and withstand the damp conditions, e.g. if you’re going for a painted cabinet make sure the paint is suitable for baths. For medicine cabinets you will find most have mirrored fronts, but you can find extra features such as clocks and shaving sockets built-in. What contemporary bathroom storage ideas should I look at? 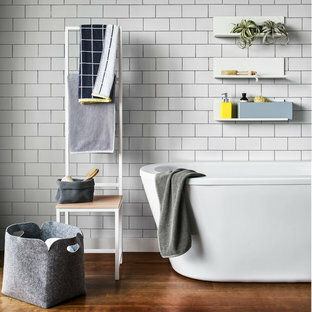 While bathroom storage ideas is not the first thing you think of when it comes to bathrooms, you’ll be surprised at how much difference it makes when your bathroom is organised – specially if you’re dealing with a small bathroom, this is essential. We all know how accessories like bottles, toiletries, lotions and potions can pile up next to the bath. And where to put the cotton buds, painkillers, plasters, other medicine, creams and sanitary products? That’s not even considering using your bathroom as a place to store your towels and bathrobes. The first thing to consider when reviewing bathroom ideas is if you can invest in built-in bathroom storage. Large vanity units will have drawers and compartments to store a great number of toiletries and bathroom necessities, and if your bathroom or cloakroom has room for a built-in cupboard you can start storing small accessories and larger items there. If you can’t do anything on this scale, you could investigate built-in storage around the bath or look at less permanent options. Shelves and shelving units, like ladder shelves, will give you extra space without taking up too much floor space. Also look for wire, wicker or fabric baskets, large and small, to store items under or next to the sink, or even on the wall. What's the best ideas for lighting? Water and electricity don’t mix, so make sure your bathroom lights are safe, first and foremost. There are actually regulations around what type of light fittings you can use and where – IP67 rating lights for submerged areas e.g. inside baths and sinks (Zone 0); IP65 for any area above a shower or bath (Zone 1); and IP44 rating for anything 0.6m from a bath or basin (Zone 2). 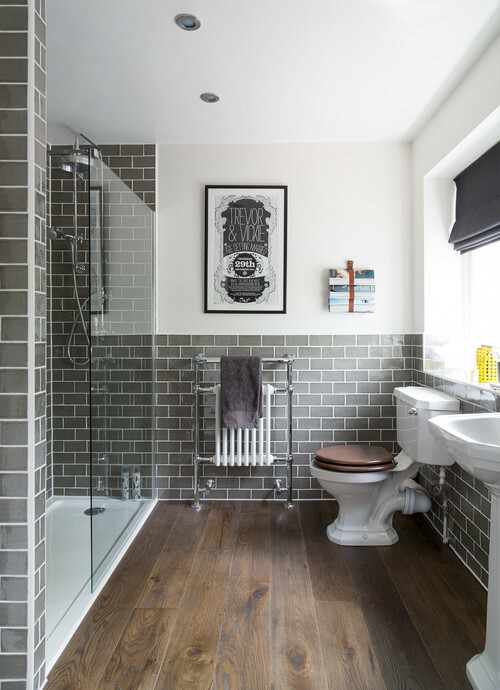 After you’ve made sure your light fittings are safe and to-code, you can consider the type and style you’d like as your working through your contemporary bathroom ideas. The sink, the mirror, shower and/or bath are the places where you might want the clearest and strongest light. You can use these if you want it to be bright and clear. Otherwise, you might want to look at some soft, ambient lighting in the form of chandeliers, short pendants or wall lamps. You could use accent lighting around your contemporary bath in the form to create a tranquil, spa feel, as well. Bathroom tiles – what should I go for? It’s rare to find bathrooms without tiles. Although it can be done with panelling, materials like tadelakt, waterproof paint, wallpaper or well-treated wood; bathroom tiles are so copious and easy to apply that it’s hard to avoid going with tiles in the bathroom. The great thing is that both floor tiles and wall tiles come in a huge variety of sizes, styles, colours and patterns, so you can remodel your room completely with whatever tile choices fit with your contemporary bathroom ideas. When it comes to flooring, tiles will be durable, easy to clean and deal well with water, but if you want something different you could go with modern concrete, traditional or country-style treated wooden floorboards, or a bit more quirky bamboo, cork or vinyl. What to do with small contemporary bathrooms? 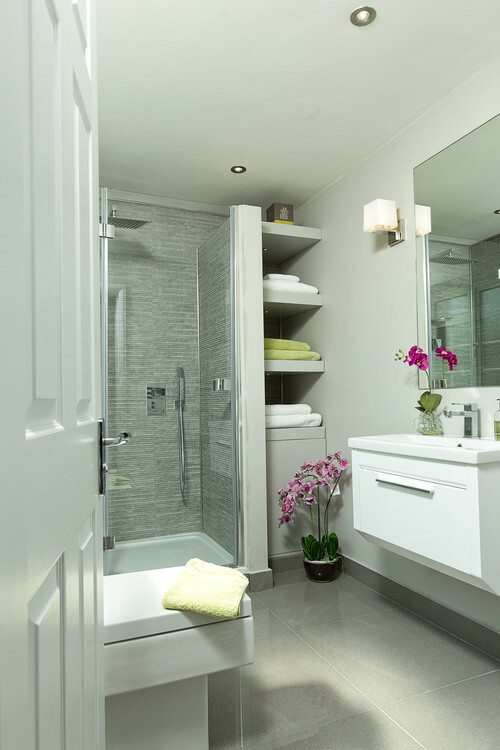 The best small bathroom ideas will maximise the space you have. From installing a bidet to simple decorative tips there are plenty of things you can do to make it look bigger. Recessed shelves can make a huge difference both visually and practically to contemporary small bathrooms, so if you are able to have these installed when your walls are being renovated you could add some to your shower or sink area. You could choose pale colours and iridescent tiles that reflect the light, keep walls and ceilings the same colour and texture, and use complementary shades throughout the bathroom– fewer contrasts and transitions will help maintain the sense of space. Floating bathroom units also draw the eye to visible floor space underneath them, and clear glass shower screens will keep the room feeling open and airy. 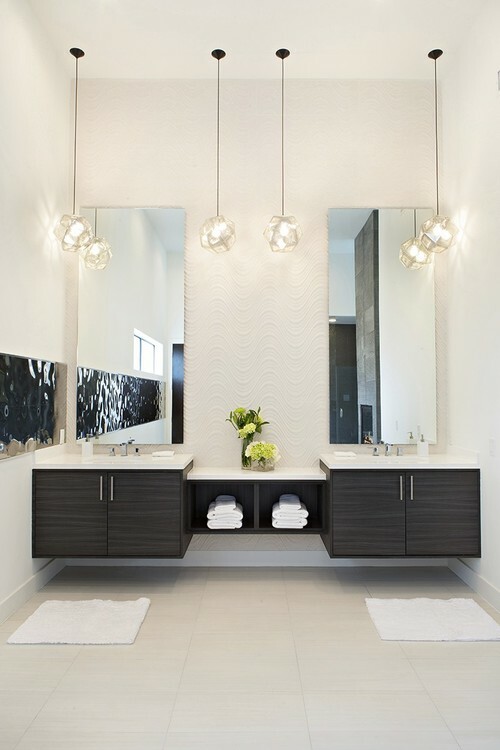 Finishing touches like artfully placed large mirrors will also make small bathrooms appear more expansive. 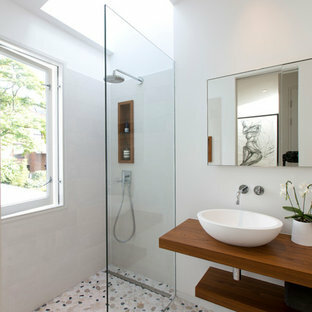 Photo of a medium sized contemporary bathroom in London with a japanese bath, white walls and grey floors. Design ideas for a medium sized contemporary ensuite bathroom in London with flat-panel cabinets, white cabinets, a built-in bath, a shower/bath combination, metro tiles, blue walls, ceramic flooring, a wall-mounted sink, multi-coloured floors, a hinged door and white tiles. 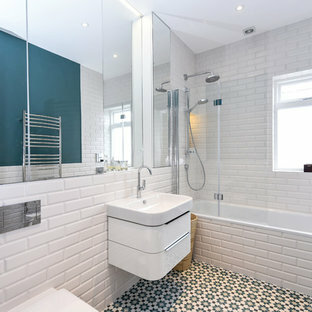 Medium sized contemporary bathroom in London with open cabinets, a corner shower, brown tiles, mosaic tiles, a vessel sink, grey floors, white walls and a hinged door. Small Bathroom for a boy. 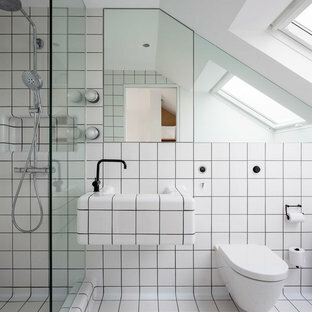 Small contemporary bathroom in London with a built-in bath, a shower/bath combination, a bidet, grey tiles, white tiles, marble tiles, a wall-mounted sink and white floors. Inspiration for a contemporary bathroom in London with a trough sink. Small contemporary shower room in London with open cabinets, grey tiles, grey walls, a vessel sink, wooden worktops, multi-coloured floors, an open shower, a walk-in shower and pebble tile flooring. Design ideas for a medium sized contemporary bathroom in Berkshire with a wall mounted toilet, beige tiles, beige walls, beige floors, porcelain tiles and porcelain flooring. Design ideas for a contemporary bathroom in London with a pedestal sink, a claw-foot bath, a built-in shower and multi-coloured floors. 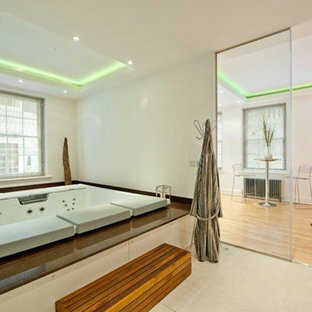 This is an example of a contemporary bathroom in London. Photo of a contemporary bathroom in Manchester with a walk-in shower, a wall mounted toilet, grey tiles, grey walls and an open shower. Inspiration for a contemporary bathroom in London with a wall mounted toilet. This is an example of a contemporary bathroom in Surrey with a built-in shower, a wall mounted toilet and a vessel sink. Design ideas for a contemporary bathroom in London with a vessel sink, flat-panel cabinets, white cabinets, a freestanding bath, beige tiles, beige walls and a built-in shower. Inspiration for a contemporary bathroom in London with a wall-mounted sink and brown walls. Design ideas for a contemporary ensuite bathroom in London with flat-panel cabinets, a built-in bath, a wall mounted toilet, beige tiles, ceramic tiles, beige walls, ceramic flooring, a submerged sink and solid surface worktops. Inspiration for a medium sized contemporary bathroom in London with a wall-mounted sink, a corner shower, grey tiles, metro tiles and grey walls.